Wasting no time, Canadian carriers Rogers and Bell have quickly announced pre-order and launch dates for the new BlackBerry 10 models. 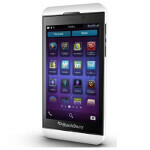 Rogers will have the all-touch BlackBerry Z10 available on February 5th in both black and white, for $149.99 with specific three-year plans. The carrier will also start taking pre-orders on January 31st for the BlackBerry Q10. That is the model that features a physical QWERTY keyboard along with a 3.1 inch touchscreen. The latter unit will be available sometime during the year. Pricing for the BlackBerry Q10 will also be released at a future date. Meanwhile, Bell, announced that it has started taking pre-orders for the BlackBerry Z10 at a price of $149.95 with a three year contract. The phone will be available on February 5th. Unlike Rogers, Bell did not mention when they would start taking pre-orders for the BlackBerry Q10. but why in 3 year contract?